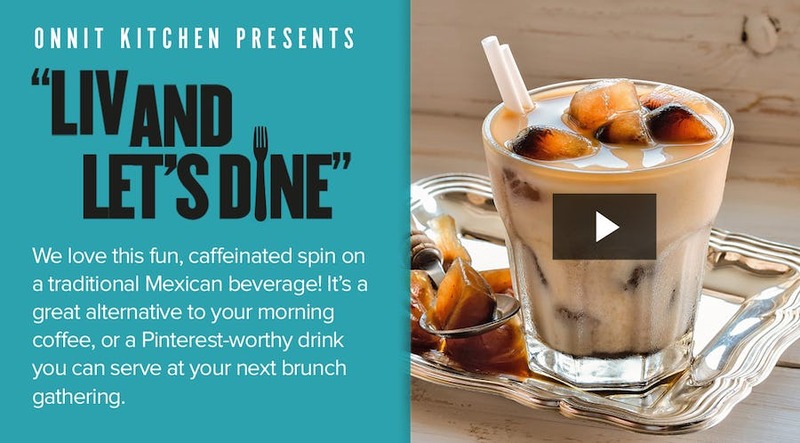 We love this fun, caffeinated spin on a traditional Mexican beverage! It’s commonly made with rice or nuts soaked in water, flavored with cinnamon, and sweetened with sugar and condensed milk. 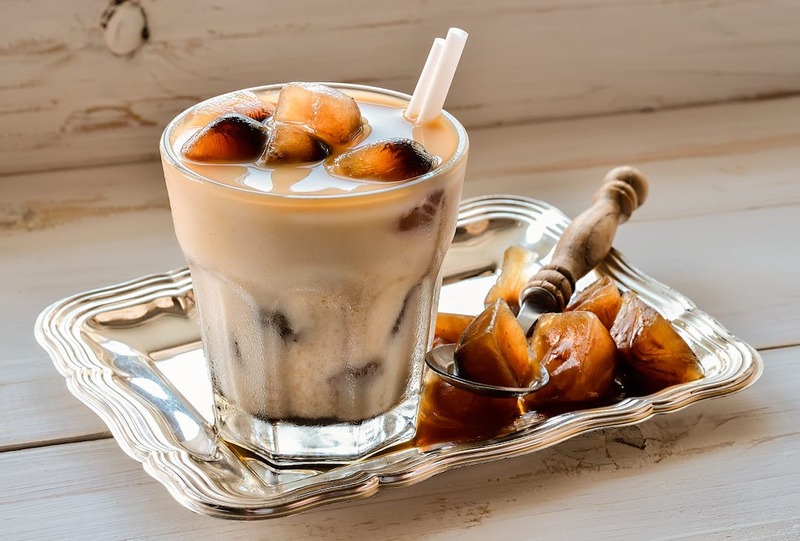 In our horchata recipe, we removed the refined sugar, added emulsified MCT oil, and poured it over cold brew ice cubes. What a delicious, creamy combination! It’s a great alternative to your morning coffee, or a Pinterest-worthy drink you can serve at your next brunch gathering. *If you don’t use unsweetened vanilla almond milk, we suggest you add 1 tsp. vanilla extract to the blender in step 5. **We used Lakanto MonkFruit Sweetener You can use any sweetener of choice like raw, unfiltered honey or an organic maple syrup. 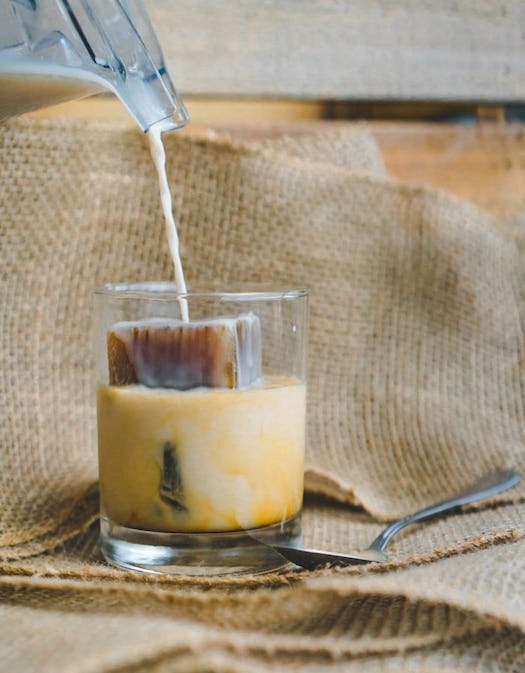 ***We used Chameleon unsweetened vanilla cold brew for this recipe. 1. 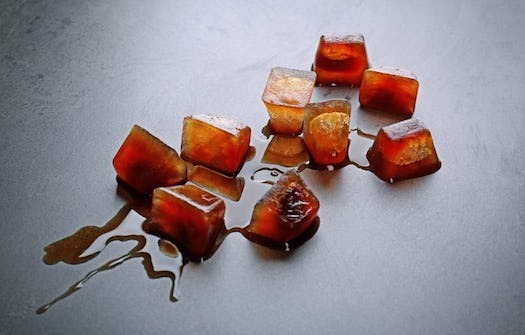 Pour the cold brew into an ice cube tray and freeze for five to six hours or overnight. If you don’t have an ice cube tray, you can use a mini muffin tin or small dixie cups to make the ice cubes! 2. Rinse rice thoroughly in a colander. Add the rice, water, and cinnamon sticks to a blender and pulse for about 1 minute until the rice is broken up into fine particles. Let the mixture sit for 2 hours room temperature or overnight in the refrigerator. 3. Using a fine colander, strainer, or cheesecloth, drain the liquid into a pitcher. Discard the excess rice-cinnamon particles. Listen, Linda, we know that sometimes we don’t have time for making homemade rice milk. That’s OK too. For the lazy-man variation, skip steps 2 and 3. Simply buy unsweetened rice or quinoa milk from the grocery store, then continue with steps 4 through 6. 4. Add the rice water to back to the blender. Then add in almond milk, sugar substitute of choice, emulsified MCT oil, and additional cinnamon. Blend until combined. 5. Serve immediately over cold brew ice cubes and feel free to garnish with additional cinnamon sticks. Store in an airtight container in the fridge for up to two weeks. Make sure to thoroughly mix before serving, separation is common when storing. Enjoy! something wrong? I am partial to frozen bananas as a snack in the evening. This has happened before when I added fats to my diet. I would greatly appreciate some input .